I started watching the YouTube channel Dirty Shed Creations when they began their wood log throne series about 6 months ago and I have not missed a release yet. 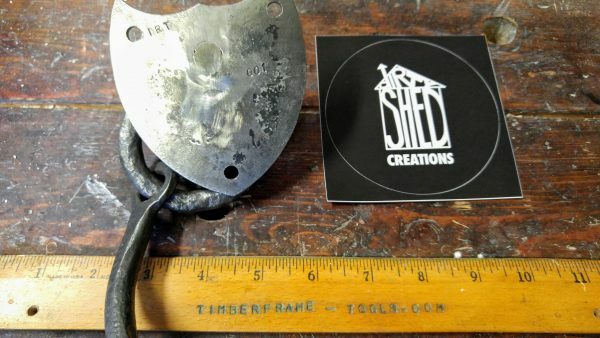 I like Dirty Shed creations both for its enjoyable cast of characters (Uncle Al, Camera Boy, and Tammy) and the projects they come up with match my tastes. 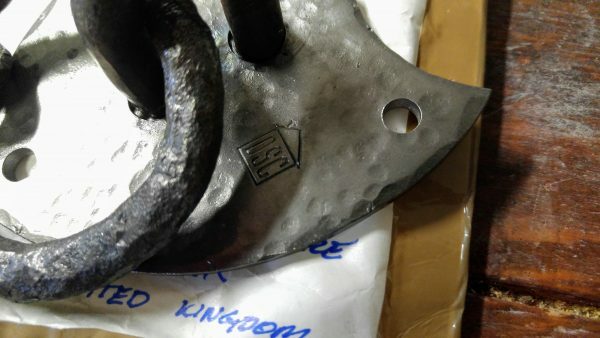 Two months back, they forged an iron trace hook for their throne and produced a great video detailing the making of it. My son was pretty fascinated by the process, so that inspired an interest in making a forge and having a bit of fun…. more on that in other posts. At the close of this video, they offered one up for a contest prize. I entered, and then sat slack jawed in my chair watching the surprise announcement here. The flying spade bit of fate ran in my favor that day and I won the trace hook. Yesterday, it arrived in the mail after its long journey across the Atlantic. It really is a thing of beauty. It has an old luster to it as well as the Dirty Shed Creation stamp as well as a skull stamp. It also came with some Dirty Shed Creation stickers. I have a few project ideas in mind for it, but have not picked one yet. 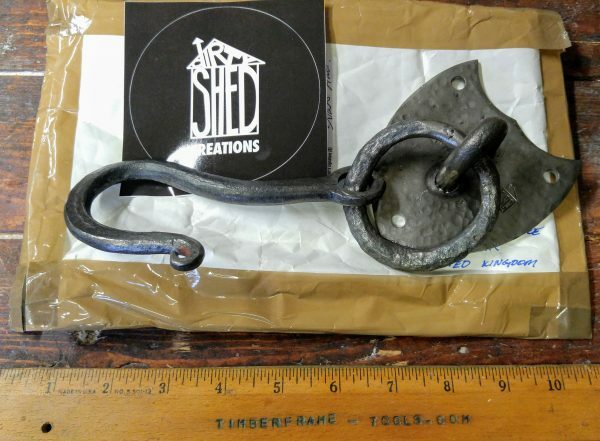 My son on the other hand wants to try forging another trace hook of his own. We shall see. Thanks to the three amigos at Dirty Shed Creations for taking the time to make and share this with me.